I know I've shared a lot of vegetable appetizers--I think snacking on veggies is a cool tip to increase our produce intake. 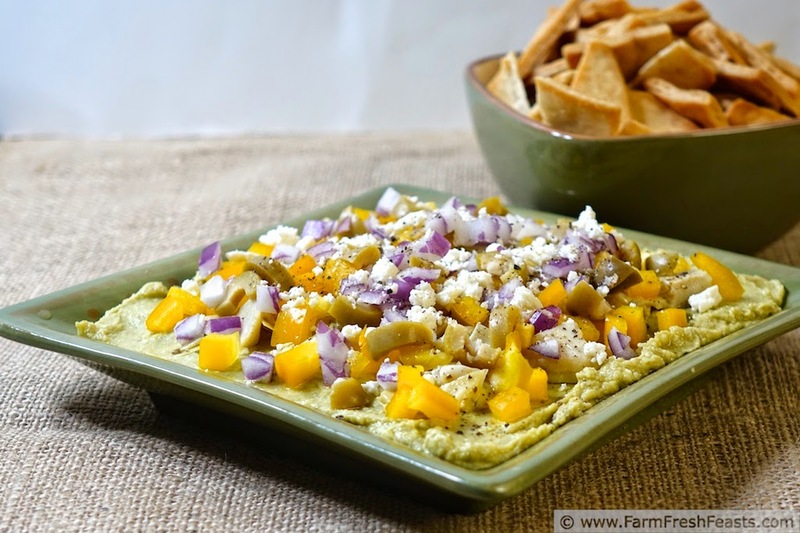 Having vegetable appetizers is a delicious way to feed my family vegetables when there aren't a lot of fresh ones available from our farm share. 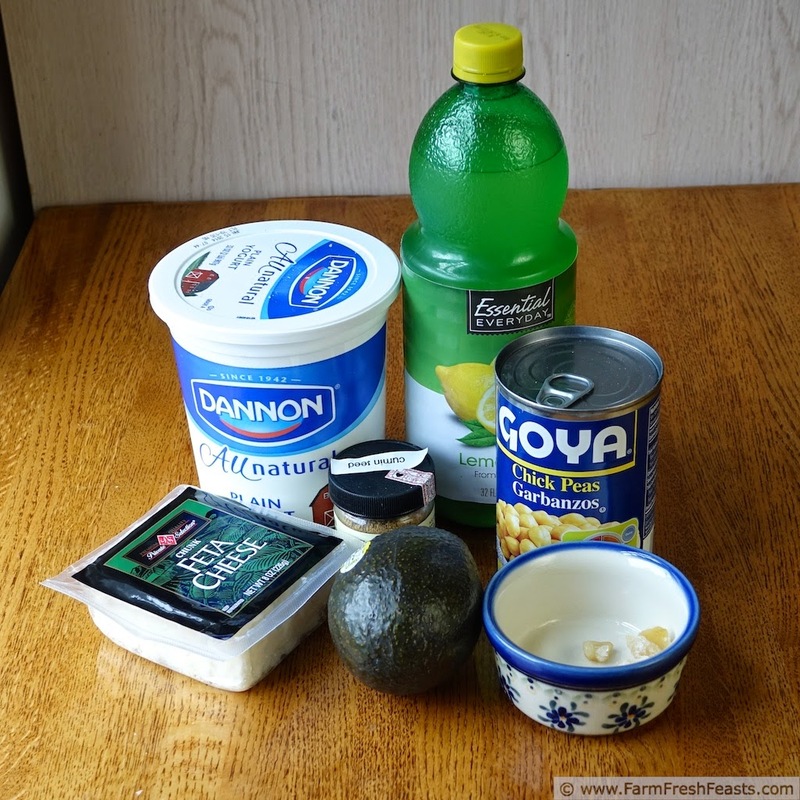 For more recipes using avocados, please see my Avocado Recipes Collection. It's part of the Visual Recipe Index by Ingredient, a resource for folks like me eating from the farm share, the farmer's market, the garden, the neighbor's garden, and great deals on ugly produce at the grocery store. If you've got a food processor this is a breeze--combine all ingredients, chick peas through olive oil, in a food processor. Pulse a few times to get it mixed, then process until smooth, scraping down the sides occasionally. Other than a food processor, I'd try for a blender, or finely chop everything, using the flat of my knife to mash what I could into a cutting board, then stir it all together in a bowl. To serve as a layered vegetable appetizer, spread hummus on a plate and top with optional toppings, then drizzle with olive oil and dig in! I'm with you -- if I only ate local, I'd miss lemons, coffee, shrimp, avocado, and a bunch of things that simply don't grow here in New England. Lemons! I utterly forgot about the whole citrus angle. I think I need an orangery, like I've seen at Monticello and Montpelier and wherever else we've toured. And, like, a mansion to have all the space for an orangery, and gardeners and housekeepers and all that . . .
And mangos! And hibiscus tea! And … and … and! 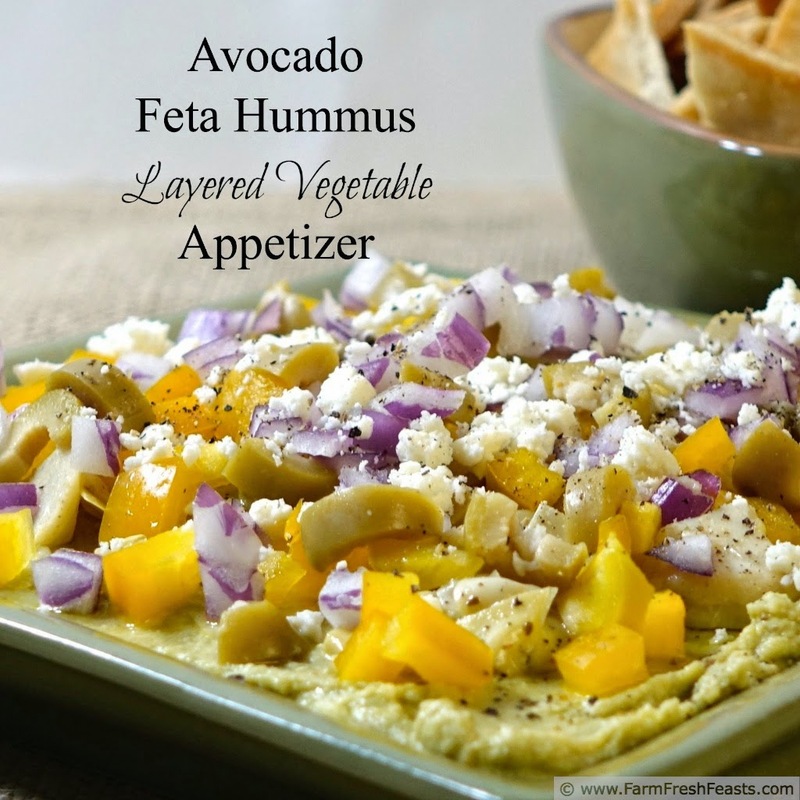 I love your layered dips! I went to a Local Foods Symposium last fall, and the keynote speaker started off his presentation by holding up a mango and asking the audience to identify what it was. He said his love of mangoes was why he could never be a 100% local eater (while living in Ohio, I suppose would be the caveat). My list of foods just keeps getting longer! Look at you putting the linkable collage to work so quickly. I'm impressed. Perhaps you can hop over to my blog next and get it all spruced up. My recipe section is in dire need of work. Sure, you'd have to learn Wordpress but if anybody could do it, it'd be you. I'd be forever grateful. These photos came out amazing! For real, they're beautiful and I can't wait to try this dip, and of course I will because I love all your dips. Your muffins too, but that's a different story for a different day. I snorted tea out of my nose--thinking I can learn WP--HA! Good grief I'm still blindly stumbling around Blogger! But thank you--I'm kinda chuffed with myself about these collages. And the dips. And the muffins. And the Cheater Margarita Smoothies. This is just stunning; from start to finish! :) That collage looks good, too! I swear, it's so nice to see the results of my tutorials from other people! Makes my heart sing! 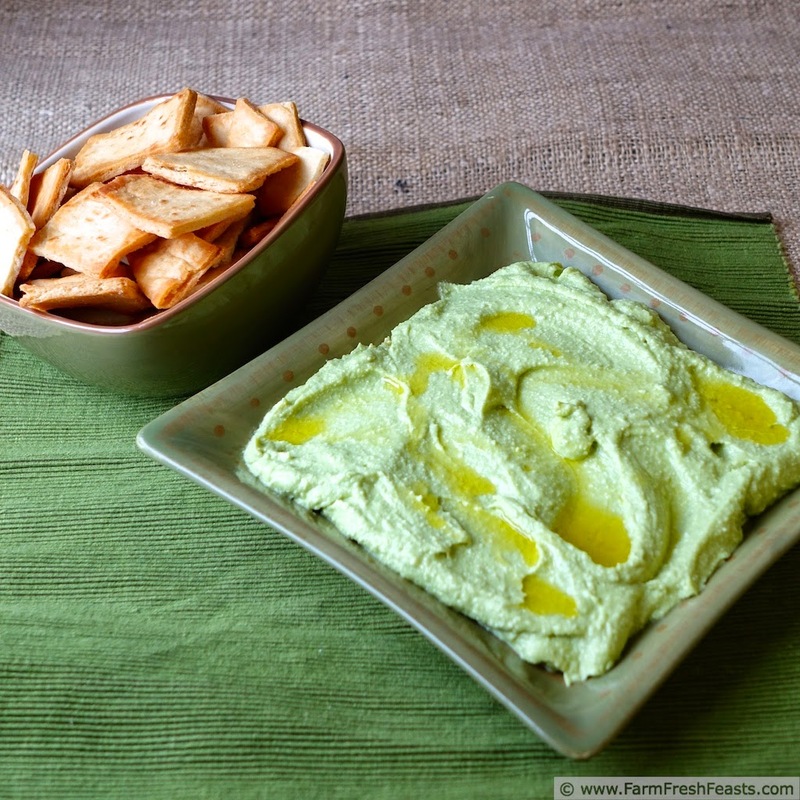 I've stumbled this post & pinned it & +1'd because I NEED that hummus in my life! Thank you so much! I'm so glad you shared your knowledge! Loving your hummus!!! It's everything that's right with the world: feta, avocado, chick peas. Deeeeeeeelicious! And how impressive are you?!! How did you make that click-able collage?? PS. Thank you for the shout out!! xoxoxoxo! Means the world to me and my little podcast. It's very easy to follow along, and she's got a video to show you as well--covers all learning styles! 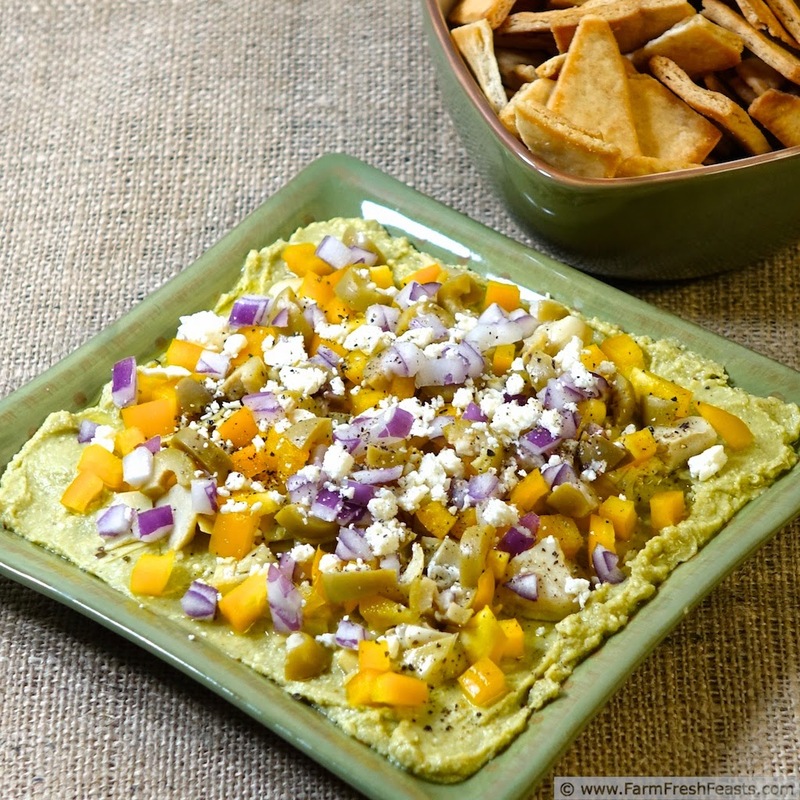 Well, your Avocado, Feta Hummus so does look good, I'm going to have to try that one. 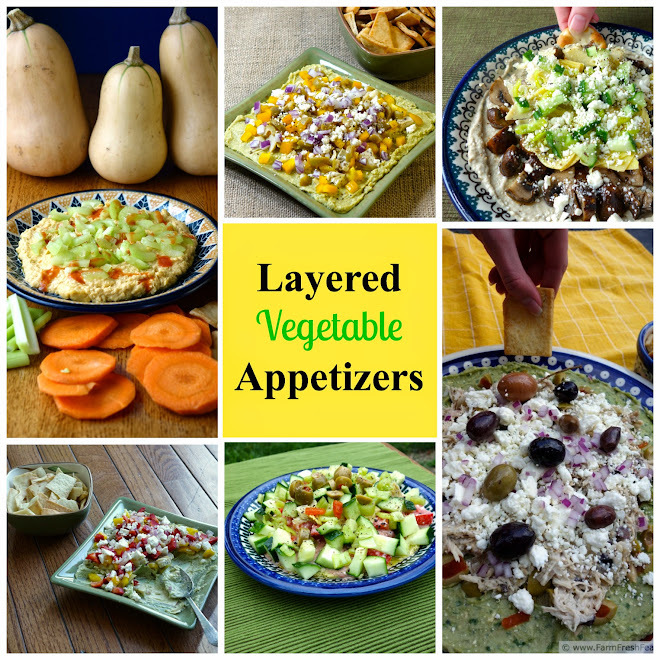 It's a really yummy dip and the whole layered vegetable concept has me smitten. Now that I know my spouse is on board I'm thinking we'll have a lot of cool Dip Dinners this summer.